Are you ready for a Superhero summer? I had the pleasure of hosting my very first Superhero party in a gorgeous home in Pacific Palisades for a pair of Super 4 year olds this last weekend. There were a total of 57 guests which practically doubled in size 3 days before the party! When the guests arrived, they got to choose their own Super Suits to wear during the festivities. Next, it was craft time. The kids decorated their very own Superheroes in the form of a giant paper doll. Don't tell the boys I said "doll". I cut out 70 10.5" dolls with my cricut and MANY different color capes and masks for the kids to glue on. Then they decorated with crayons and markers. This activity was a huge hit. This little boy loved it so much that he made 3 of them! I had many games planned to help them develop their super powers. The first game was "Pin the spider on Spiderman". I used a Spiderman mask as the blindfold and just covered up the holes so they couldn't peek. The guests also played tug o' war, super speed test, hula hoops, knocking down cans and bubble popping. I made a 16x20 poster for each birthday boy as a gift with clipart from Sweet Lollipop Designs. Superhero lollipops with printables from Forever Your Prints. Straws and their flags are from Hey Yo Yo. I was up the night before until 1 AM sewing the 4 red polka dot table runners. Printables from Simone Made It were used for the signage and food picks. I'm sorry I don't have any pictures of the Silly String massacre but here is a bit of the clean up. I also had a quiet corner with puzzles, books and a pillow for superheroes that wanted to take a break from the action. Here is a picture of the 59 favor boxes that were packed up to head off to the party. Everyone had a great time and I'm looking forward to training many more superheroes! OMG! Best part EVER!!!!! My son would go nuts for this kind of party. 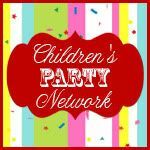 Perfect party ideas! I could have seen this page before my son's 3rd birthday party. But no worries much, gonna use these ideas next year for my son's 4th birthday bash. Look at them so excited preparing it all. OMG, the kids are dressed so nicely. It's amazing.